Do we really need brick and mortar stores anymore? ['In the last ten years, the [combination] of Amazon and Waterstones have contributed to the demise of 557 independent bookstores, or nearly half of shops overall'. Horrendously high figures such as this make me wonder why we need brick and mortar stores any more, at all. The benefits of internet shopping are unparalleled; purchasing from the comfort of your own home, a world of choice and discounts, no closing times or tricky locations, it's no wonder internet only outlets such as ASOS are booming. So why do real life shops still exist? Do we still need them at all? Contrary to what the stats imply, the short answer is yes. But why? It's no surprise that different age groups want different things. For example, my mother who refuses to even have an email address in 2017, would be lost if 'real life' shops ceased to exist. But it's not just a generational thing, only 7% of people say online is the only way they shop. Gender also plays a part on buying habits. Women prefer to 'see, touch and feel' products before buying them, whereas men want their items immediately - both factors contribute to the maintenance of brick and mortar stores. There's also the issue of brand experience. Of course with ever changing technology, the online experience is becoming more and more personalised; but there's only so much 'excitement' 2-D images on a computer screen can give you. Films such as Confessions of a Shopaholic document how the 'thrill' of a new item comes from the immediate gratification of the purchase; "A store can awaken a lust for things you never even knew you needed". Clicking 'add to basket', along with the added logistics of planning delivery dates, just isn't the same. There's also the returns process; not only is online buying a risk in the first place, if its not quite right, the mailing it back process requires you to visit a brick and mortar location, or post office. But aside from the physical bonuses of a 'real' shop, there's also the consumer experience. Whilst Amazon has been 'killing off' independent bookstores, they also, controversially, opened their own. To some, opening a store built on a business made successful by e-commerce seemed like a step backwards. 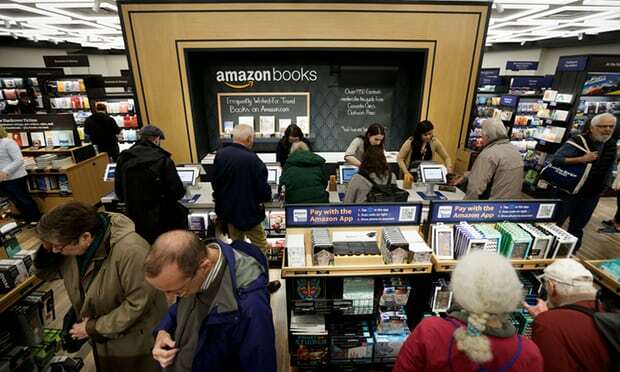 Instead of being a mistake, Amazon's bookstores are thriving. This is due to the way the brick and mortar locations blend technology with tradition; you can buy a regular book from a normal looking bookshelf, whilst also browsing titles featured under the 'books Kindle readers finished in 3 days or less' section. You can also purchase other, non book, products - technological, usually Amazon exclusive products - bringing the appeal of online to real life. That's all well and good, pre social media, but what happens when you're trying to market to the Insta generation? Missguided, an online only e-commerce fashion retailer aimed at young women, recently opened a select number of stores, calling them 'MISSGUIDED IRL'. The 'IRL' part (and their dedicated #missguidedirl hashtag) reminds us that the brand is inherently internet, and by extension, inherently cool; made all the more obvious by the stores' bright designs. Each location is uniquely designed, but share a consistent aesthetic. They all feature super Instagrammable quotes, monster truck installations, all pink everything and models posed in provocative ways; alongside 'internet famous' guest appearances and features of online trends (unicorn and holographic are the shops' current art direction). Walking into a Missguided store brings their online concept to life, and doesn't even require your purchase for you to 'buy into' the vision - an Instagram story will do. For huge online retailers, 'IRL' stores may be simply pocket change for the empires, but the brand awareness and organically created social media content is priceless. Speaking to a male friend who happened upon the Stratford Missguided store, he said the booming music and incredible shop front made him feel compelled to go inside, even though the clear target audience is young women. For someone who would never be naturally buying womenswear online, he knew a hell of a lot about the brand from this chance encounter. Missguided's IRL strategy works for a number of reasons. Starting a new store is expensive, and they made the correct decision to test the waters online. Once they had a taste of success, they used a few choice location stores to both give apprehensive would-be buyers a chance to feel the clothing, and to build brand awareness, both for returning, and new, customers. 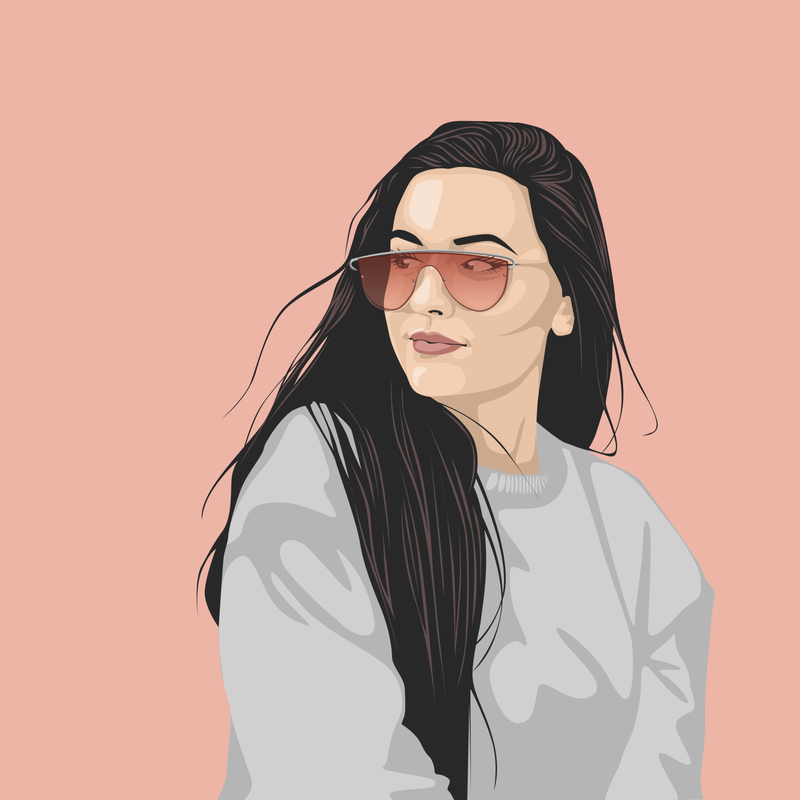 Wrapped up in a perfectly Instagrammable package, Missguided had its target audience nailed, and knew that for the venture to be successful, they had to make the user experience feel more like a 'museum', than a retail store. Brands are realising the value of quality content both online and off, an example of this being made-for-the-'gram installations and photo opportunities. The actual 'Instagram museum' trend has been massively effective so far, with interactive shows such as Ten Years of Kardashian (at the Saatchi, London) and the hugely popular Museum of Ice Cream in San Francisco generating literally millions of organically created posts. It makes sense for e-commerces like Missguided to take this approach when creating a 'real' store; in doing the reverse of 'traditional' stores, they had to provide so much more when creating the conventional shopping experience. Of course, more traditional shops with little to no online presence are still in existence - and in some cases, still doing well. Primark is one of the retail-only giants. With no option to buy online, people are forced to visit real life stores to buy their clothing. The rationale behind this is that Primark's stock is so cheap, and so frequently refreshed, the returns process simply wouldn't be worth it for them. Although Primark continues to dominate highstreets everywhere, the reason it does so is because its prices directly compete with online retailers. Before cheap clothing was available online en masse, Primark's 'fast fashion' approach was revolutionary. They remain in business today due to the blend of online pricing with 'real life' benefits; touching, feeling and trying before you buy. There's no doubt e-commerce will only continue to thrive, and with in-real-life shopping technology (think contactless and cardless payments, thumb print scanning to pay, facial recognition) rapidly turning from revolutionary to the norm, traditional shops are continuing to blend the best of both worlds. But for e-commerce shops to take a chance on traditional retail, they have to bridge this gap even further. 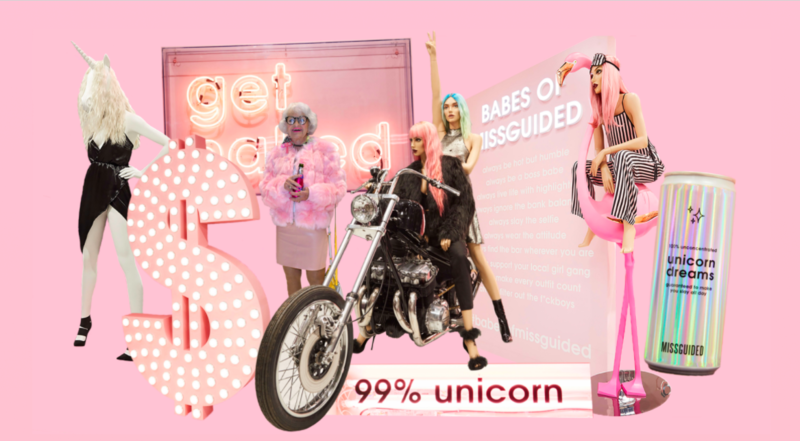 It's likely the future of traditional retail will have to take a leaf out of Missguided IRL's book, and create social media 'experiences' for their customers, translating the 2-D to 3-D, and further muddling the best parts of both real life and online.